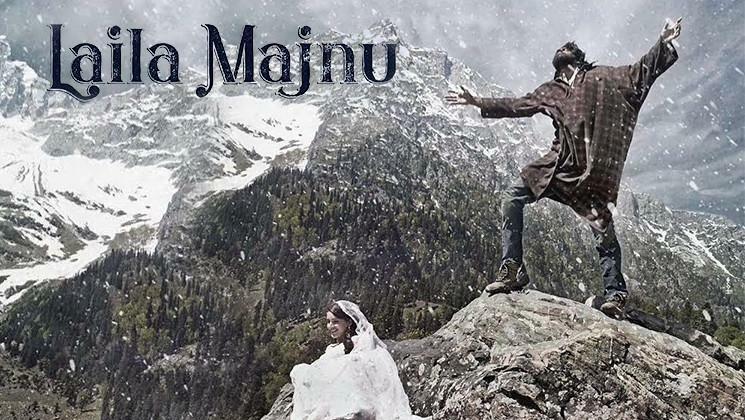 Laila Majnu Movie Review: There a famous love tale of 'Laila Majnu' an example of undying love, filmmaker Imtiaz Ali brings the story of Laila Majnu back again with a fresh avatar. Imtiaz Ali's younger brother Sajid Ali makes his directorial debut with this film, who also wrote the screenplay with Imtiaz Ali. The director chose new cast in Avinash Tiwary and Tripti Dimri to make the Laila Majnu relevant. Let's see what is the film all about. Laila (Tripti Dimri) belongs to a prominent family of Kashmir and she is too close to her father Masood Ali (Parmeet Sethi). Laila who is a dream girl of many but herself a totally new to the world of love always fascinated about being in love with someone. She gets excited to listen to the love life of her friends and wants to feel the moment of love but she has fear of her father and family. One day in an incident she meets Qais Bhat (Avinash Tiwary) who fell in love with her at first sight. After that, he started following her and makes everything that a boy do to impress a girl. However, Laila gets irritated by it scolds Qais to not follow and so, Qais decides to never meet her again. However, again in a marriage day after that meeting Laila by luck meets Qais and then their love story starts blossoming. Well, in between the lovely meeting one day Laila got caught red-handed with Qais and her father decides Laila to get married to one of her worker Ibban (Sumit Kaul). Qais is heartbroken and leaves India, but after four years he comes back and then the journey of Majnu starts. Sajid Ali is not new to the world of cinema as he has already assisted his brother Imtiaz Ali in the films like Tamasha, Highway, and Rockstar. Imtiaz Ali who famous for showing love par scale wrote a script of Laila Majnu once again with the collaboration of Sajid. Sajid as a director has good but somehow he has not been able to come out from the shadow of Imtiaz Ali. There are many scenes in the film that will recall you the memories of Rockstar or maybe because Ranbir Kapoor's film was somehow inspired by the Laila Majnu. While narrating the characters Sajid Ali has gone into the depth, but in the meantime, he lost in mainly focusing on Majnu. This became the reason that he lost control or the grip on second half of the film. There are few sequences that are boring but you will not be surprised if you know Imtiaz Ali's filmmaking. All in all Imtiaz Ali's good scripting and mentoring has made Sajid Ali to make a beautiful film. Avinash Tiwary is the most wonder able person of this film, he has shined from the first frame of the film. In the first, he played a boy next door Qais Bhatt and he is quite amazing in it. There are some quirky romantic and comedy scenes in which he gives you some resemblance of Ranbir Kapoor from Rockstar. Then in the second he totally a Majnu and in those mature where the audience can think of her mad acting level but he has maintained the thin line between a good actor and a mad actor. Tripti Dimri, Well this is not her debut film as she first worked in Shreyas Talpade's Poster Boys but surely it is her first leading film. Tripti has a very sweet and girl next door role and she is quite good at performing those scenes. Even in a few emotional scenes, she shines, but she has not much to do as a mature actor, maybe because of the foundation of her role. Tripti is good, but she has a capability to do much more. Sumit Kaul played the role of Laila's alcoholic husband and MLA, but his role is important to the Laila Majnu tale. While Parmeet Sethi is like the Amrish Puri of DDLJ and he has tried to be a tough father like him. 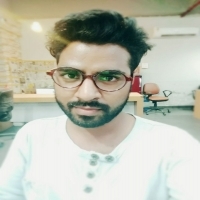 Besides, this there is one actor who played the role of Avinash's brother and his role is even charming and impressive, like the same line of Sanjana Sanghi in Rockstar. The music of the film is the most powerful and impressive thing and this the reason why the film has got a scale of promotions. The songs have gone with the flow of the film, especially Aisha Ahista, O Meri Laila (Radio Version), and Hafiz Hafiz. What is better to the end the film with Atif Aslam's O Meri Laila song. It will not be wrong to say that besides, Avinash the music is another hero of this film. The film is a fresh tale of Laila Majnu but if you are not much familiar with Imtiaz Ali's filmmaking then in some parts it will bore you. 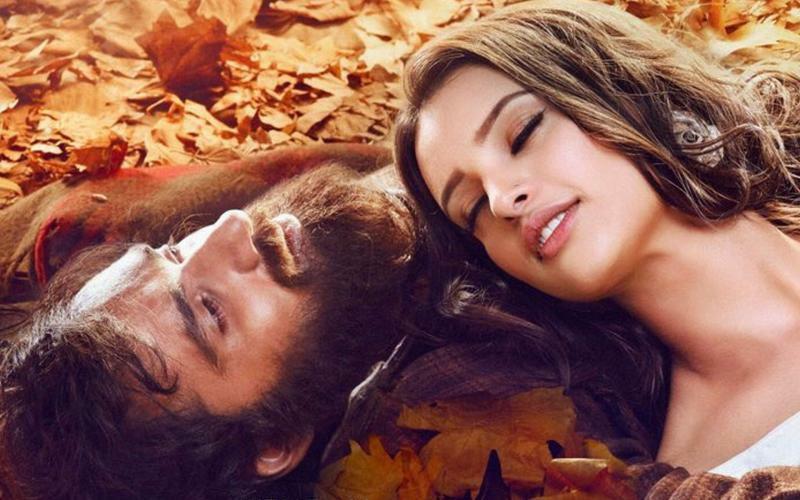 All in all, Laila Majnu is a film that shines with the fresh narrating style and actor's performances. A film for one time watch surely.